ANSBACH, Germany (March 9, 2018) – “Was ist los in Franken?” details off-post community events and activities occurring throughout the Franconian region. A few weeks before Easter many Franconian communities adorn their well or fountain with fresh spring greens and hand-painted colorful eggs. 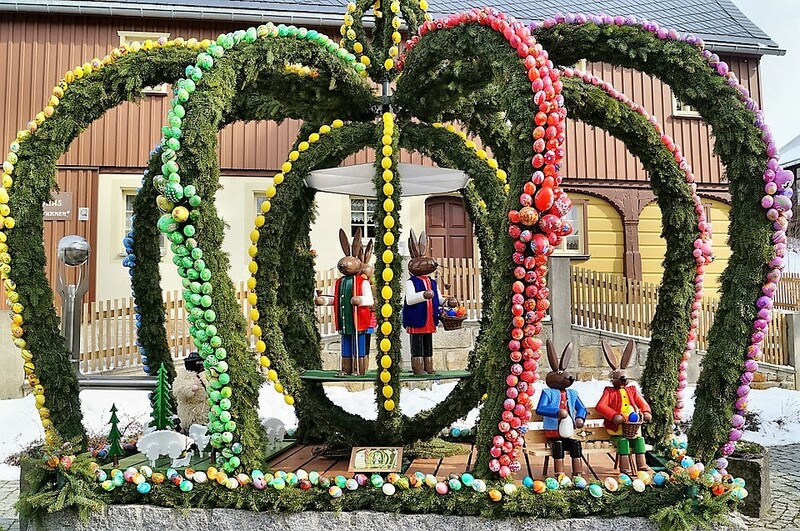 The origins of the “Osterbrunnen” tradition can be traced back to the Fränkische Schweiz (‘Franconian Switzerland’), a region located between the cities of Bamberg, Bayreuth and Forchheim, from where it spread to other areas. Tourists flock to the Fränkische Schweiz as participants of Osterbrunnen tours, hikers and bikers combine their outings with stops at different locations to admire the many little works of art. The tourist offices of the region offer different routes and locations for visitors. For a sample list of Osterbrunnen villages, go to Osterbrunnen Fränkische Schweiz. The famous Windsbacher Knabenchor is hosting an open house at their boarding school (Heinrich-Brandt-Str. 18, 91575 Windsbach) Saturday, March 10 from 1 to 6 p.m. The school will show interested parents and students the facilities and perform for them. To learn more, visit Tag der offenen Tür . The traditional annual Ostermarkt takes place on Nürnberg’s Hauptmarkt March 16 through April 2. More than 80 vendors are offering household products, wood and ceramic crafts, curtains, clothes, books and much more. Opening hours are 10 a.m. – 7 p.m; closed Good Friday, March 30! To learn more, go to Ostermarkt. Things lost and found over the last year in Ansbach will be auctioned off Saturday, March 17 at the Onoldia in Ansbach (Nürnberger Str. 30). The annual “Schwabacher Kneipenfieber,“ a live music pub crawl, takes place in various locations March 17, starting at 8 p.m. 15 bands and musicians will play different musical styles, like Blues, Country, Pop, Swing or Funk in 15 locations. Tickets and more information are available at the Konzertbüro on Marktplatz, as well as all participating locations. To learn more, visit Kneipenfieber. 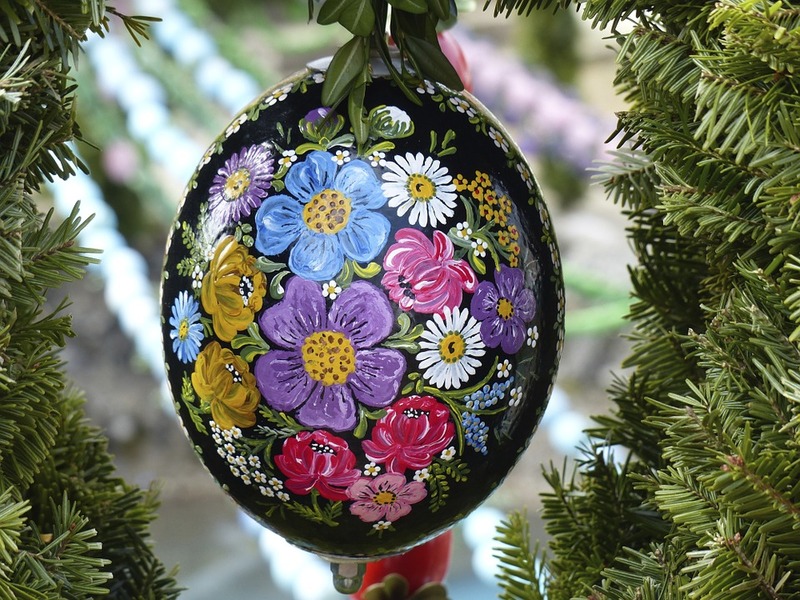 Arts and crafts as well as other home-made products and decorations are for sale at the hobby market in Bad Windsheim March 18 at the KKC (Kur & Kongress-Center), right next to the Franken-Therme spa. Doors are open 10 a.m. to 5 p.m., admission is 2 euros for visitors 12 years and older. The annual pub festival of Dinkelsbühl with live music in several locations takes place March 24, starting at 8 p.m. To learn more, visit Kneipenfestival. Volksmarches or “Internationale Wandertage” are a form of non-competitive physical fitness training, which takes the participants through some of the most beautiful landscapes in Germany. The walking distance varies from 5 to 10 or 20 kilometer routes on scenic trails through forests, along rivers and lakes or around historic sites. There is no set start time, but a window of time for hikers to start the route, and finish it at their own pace. Trails are typically marked well along the way. Many trails are stroller-friendly and provide great opportunity to explore the countryside. After the walk the local hiking clubs usually offer food and drink in a hall or tent, sometimes even at a half-way point. Avid hikers can get a hiking passport stamped each place they participate, and many clubs reward their visitors with a small token. The annual German-American Volksmarch, hosted by the German-American Hiking Club Ansbach, takes place in Ansbach/Elpersdorf (Liebigstr. 1) the weekend of March 10 and 11. Distances to hike are 5, 10 and 20 k; starting times on both days are 7 a.m. to 1 p.m., sign-up on site possible. Food and beverages will be available on site (Liebigstrasse 1, Autohaus parking lot). To learn more, go to Volksmarch Ansbach-Elpersdorf.